On IRC also known as Flabb. aleksvor requested review of D6071: Update Teeworlds to 0.7.3.
aleksvor added a comment to T7845: Package Request: ghidra. Just to add my 2 cents: Ghidra is not the only one major FOSS RE tool, there is also powerful radare2, which we recently got in the repo. You can try it if you want to do RE. aleksvor added a comment to T7415: Stremio. because of the chroot environment that blocks the connection to internet for trust reasons. Also their version wants to be installed in /opt/stremio which again gives me an error in chroot because I don't have permissions (normally this would be solved by typing sudo make install). The singleapplication.h library does not exist in solus and is kind of deprecated anyway, I just made it use QApplication. aleksvor requested review of D5963: Update GZDoom to 4.0.0.
aleksvor added a comment to T7458: Borderlands 2 doesn't want to start..
aleksvor reopened T7458: Borderlands 2 doesn't want to start. as "Open". aleksvor requested review of D5925: Update Wire to 3.9.2895.
aleksvor updated the summary of D5914: Update radare2 to 3.4.1.
aleksvor updated the diff for D5914: Update radare2 to 3.4.1. Bump to 3.4.1, mostly build fixes and small bug fixes. aleksvor requested review of D5916: Build ParaView against system GLEW. aleksvor requested review of D5915: Update Minetest to 5.0.1.
aleksvor requested review of D5914: Update radare2 to 3.4.1.
aleksvor requested review of D5761: Update iortcw to 1.51c. Seems that it doesn't link with GL library at build time due to changes in this commit. aleksvor requested review of D5878: Update OpenMW to 0.45.0.
aleksvor requested review of D5870: Update Wire to 3.8.2894.
aleksvor closed T7718: Package "qt5-x11extras" still on 5.11.2 as Resolved. aleksvor added inline comments to D5802: Initial commit of libthai. aleksvor updated the diff for D5649: Initial commit of radare2. Updated assertion checks level to match official release builds. 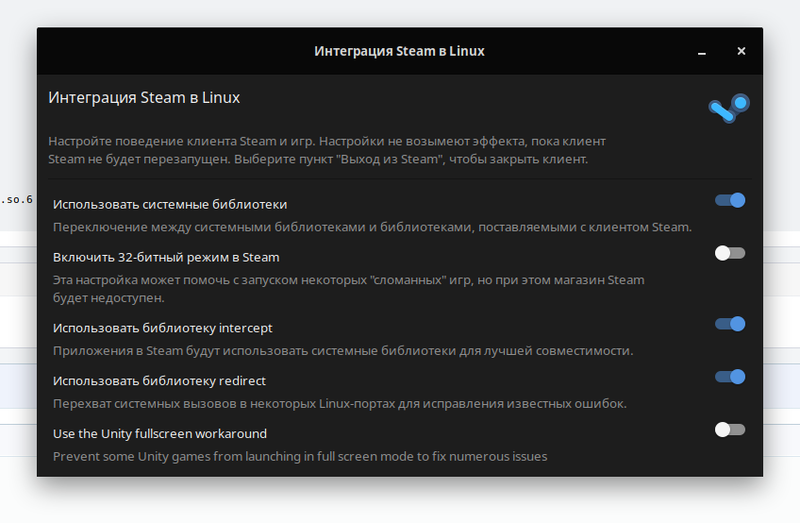 aleksvor created T7718: Package "qt5-x11extras" still on 5.11.2.
aleksvor added a task to D5762: Update OpenRA to 20190314: T7705: Update OpenRA to 20190314.
aleksvor added a revision to T7705: Update OpenRA to 20190314: D5762: Update OpenRA to 20190314.
aleksvor requested review of D5763: Update PPSSPP to 1.8.0.
aleksvor requested review of D5762: Update OpenRA to 20190314.
aleksvor requested review of D5740: Update Wire to 3.7.2891.
aleksvor requested review of D5738: Update OpenRCT2 to 0.2.2.
aleksvor requested review of D5649: Initial commit of radare2. aleksvor added a child revision for D5648: Initial commit of capstone: D5649: Initial commit of radare2. aleksvor requested review of D5648: Initial commit of capstone. aleksvor awarded D5616: Inclusion of dav1d in the repository a Like token. aleksvor requested review of D5618: Update Minetest to 5.0.0.
aleksvor closed T6115: FreeDink as Resolved. All 3 packages landed in stable. aleksvor requested review of D5610: Update Octave to 5.1.0.
aleksvor added inline comments to D5600: Inclusion of radeon-profile resolves T7648. aleksvor added a comment to T7639: I-Nex. What about CPU-X which we have in repo? It mimicks CPU-Z too, but it's more actively maintained than I-Nex, which had last commit and last release about 2 years ago. aleksvor added a task to D5562: Initial commit of freedink-data: T6115: FreeDink. aleksvor added a task to D5561: Initial commit of FreeDink: T6115: FreeDink. aleksvor added a task to D5563: Initial commit of DFArc: T6115: FreeDink. aleksvor requested review of D5563: Initial commit of DFArc. aleksvor added a child revision for D5561: Initial commit of FreeDink: D5563: Initial commit of DFArc. aleksvor requested review of D5562: Initial commit of freedink-data. aleksvor added a child revision for D5561: Initial commit of FreeDink: D5562: Initial commit of freedink-data. aleksvor requested review of D5561: Initial commit of FreeDink. aleksvor added a project to D5544: Update OpenSceneGraph to 3.4.1: Requires Rebuilds. aleksvor requested review of D5546: Update FlightGear to 2018.3.2.
aleksvor added a child revision for D5545: Update SimGear to 2018.3.2: D5546: Update FlightGear to 2018.3.2.
aleksvor requested review of D5545: Update SimGear to 2018.3.2.
aleksvor added a child revision for D5544: Update OpenSceneGraph to 3.4.1: D5545: Update SimGear to 2018.3.2.
aleksvor requested review of D5544: Update OpenSceneGraph to 3.4.1.
aleksvor added a comment to D5398: Update Wire to 3.6.2885. Also shouldn't you be symlinking the libffmpeg from ffmpeg-chromium to /usr/share/wire/libffmpeg.so? aleksvor updated the diff for D5398: Update Wire to 3.6.2885. Simplified deletion of unwanted libraries. aleksvor added a comment to D5475: Update kid3 to 3.7.0.
aleksvor requested review of D5398: Update Wire to 3.6.2885.
aleksvor requested review of D5396: Update HandBrake to 1.2.1.
aleksvor added a comment to D5316: Update yquake2 to 7.40. And I didn't add it to rundeps since it's in system.base. aleksvor requested review of D5316: Update yquake2 to 7.40.
aleksvor updated the diff for D5311: Initial commit of Taisei. aleksvor requested review of D5311: Initial commit of Taisei. aleksvor added a revision to T7579: Taisei: D5311: Initial commit of Taisei. aleksvor created T7577: Update flare-engine and flare-game to 1.09.01.
aleksvor updated the diff for D5252: Miscellaneous improvements for Minetest. Put the flag on the same line as the rest of the command. aleksvor updated the diff for D4069: Initial commit of EDuke32. aleksvor requested review of D5302: Update libcpuid to 0.4.1.
aleksvor requested review of D5252: Miscellaneous improvements for Minetest. aleksvor updated the diff for D5248: Update FlightGear to 2018.3.1. Use system speex, sqlite and gsm instead of bundled versions. aleksvor updated the diff for D5247: Update SimGear to 2018.3.1.
aleksvor requested review of D5248: Update FlightGear to 2018.3.1.
aleksvor added a child revision for D5247: Update SimGear to 2018.3.1: D5248: Update FlightGear to 2018.3.1.
aleksvor requested review of D5247: Update SimGear to 2018.3.1.
aleksvor updated the summary of D5212: Update OpenToonz to 1.3.0.
aleksvor requested review of D5212: Update OpenToonz to 1.3.0.
aleksvor requested review of D5172: Update GZDoom to 3.7.2.
aleksvor requested review of D5069: Update CPU-X to 3.2.4.
aleksvor added a child revision for D5068: Sync with git to match CPU-X upstream: D5069: Update CPU-X to 3.2.4.
aleksvor requested review of D5068: Sync with git to match CPU-X upstream. aleksvor requested review of D4945: Update Doomsday Engine to 2.1.0.
aleksvor requested review of D4922: Update GZDoom to 3.7.1.
aleksvor requested review of D4874: Update GZDoom to 3.7.0.
aleksvor requested review of D4827: Update Teeworlds to 0.7.2.
aleksvor updated the diff for D4810: Update HandBrake to 1.2.0. Removed dependency on libnotify, as it's not used anymore. aleksvor updated the test plan for D4810: Update HandBrake to 1.2.0.
aleksvor requested review of D4810: Update HandBrake to 1.2.0.
aleksvor added a project to D4798: Update GL2PS to 1.4.0 and patch for ParaView: Requires Rebuilds. Would require safety rebuild of Octave. aleksvor requested review of D4799: Build ParaView against system libraries. aleksvor added a child revision for D4798: Update GL2PS to 1.4.0 and patch for ParaView: D4799: Build ParaView against system libraries. aleksvor requested review of D4798: Update GL2PS to 1.4.0 and patch for ParaView. aleksvor requested review of D4766: Update OpenRA to 20181215.
aleksvor requested review of D4765: Update Wire to 3.5.2881.
aleksvor added a comment to D1657: Initial inclusion of libfprint..
aleksvor updated the diff for D4723: Enable Python support in ParaView. Repeated all actions described in the test plan - everything works the same.